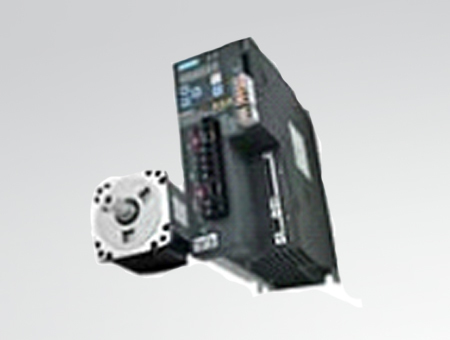 servo drive with our SIMOTICS S-1FL6 servomotor. SINAMICS V90 features internal positioning, positioning with pulse train and speed and torque control modes. port. It is used for setting parameters, test operation, troubleshooting – and has powerful monitoring functions. SINAMICS V90 is designed to meet general purpose servo drive applications. It is easy to commission the SINAMICS V90 system - essentially just plug & play. Further, it has optimized servo performance, can be quickly integrated into SIMATIC PLC control systems and has a high degree of reliability. 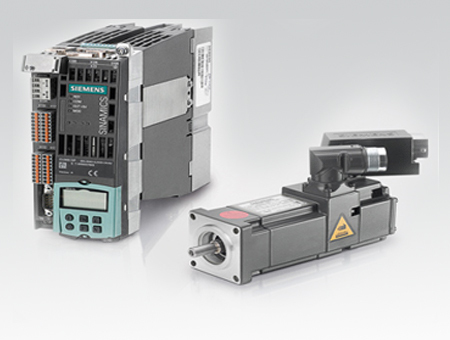 A seamless drive system is created by combining SINAMICS V90 servo drive with our SIMOTICS S-1FL6 servomotor. Plot No 10, Sector II, Vasai Taluka Industrial Estate, Gaurai Pada, Vasai (East), Thane 401208, Maharashtra, India.